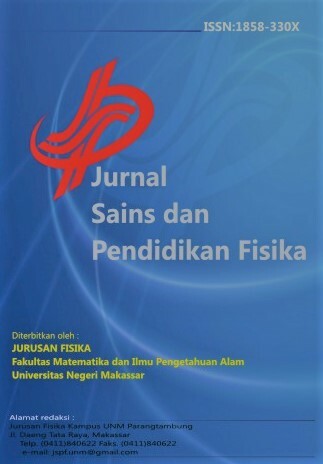 SAINSMAT is a journal scientific open access, with ISSN 2086-6755 (Print) and ISSN 2579-5686 (Online) published by Fakultas MIPA Universitas Negeri Makassar. The objective of this journal is to publish original, fully peer-reviewed articles on a variety of topics and research methods in both sciences, mathematics, its education, and applied science. The journal welcomes articles that address common issues in mathematics, sciences, education, applied science and cross-curricular dimensions more widely. 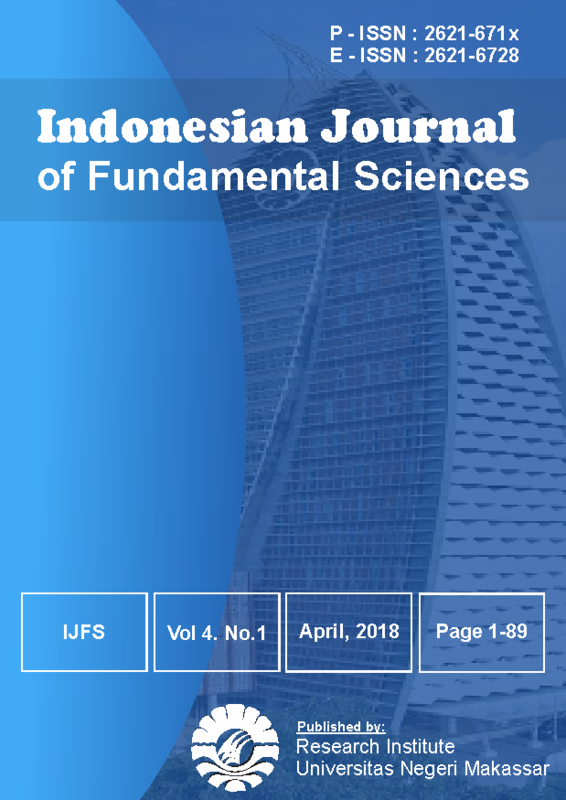 Indonesian Journal of Fundamental Sciences (IJFS) was formerly known as Scientific Pinisi Journal (ISSN 12476-9568). 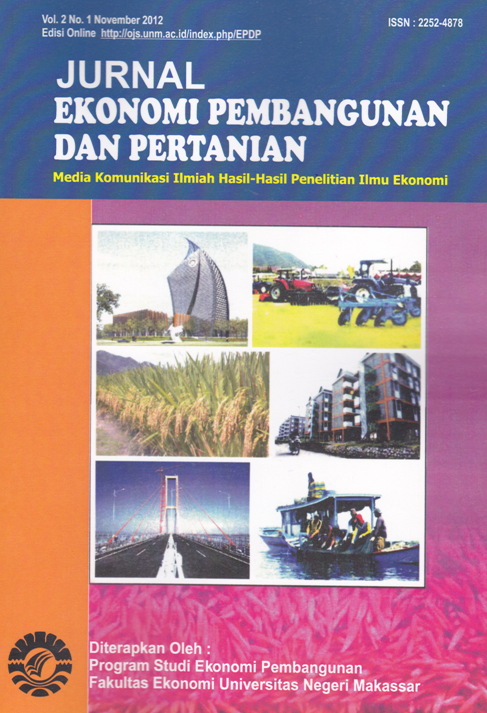 It is published by Research Institute of Universitas Negeri Makassar . IJFS concerns to publish research articles which conduct basic sciences. IJFS is published two times in a year, on April and October. 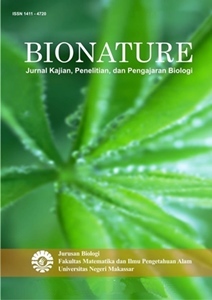 BIONATURE adalah jurnal yang berisi tulisan yang diangkat dari hasil penelitian, gagasan konseptual, kajian dan aplikasi teori di bidang biologi. 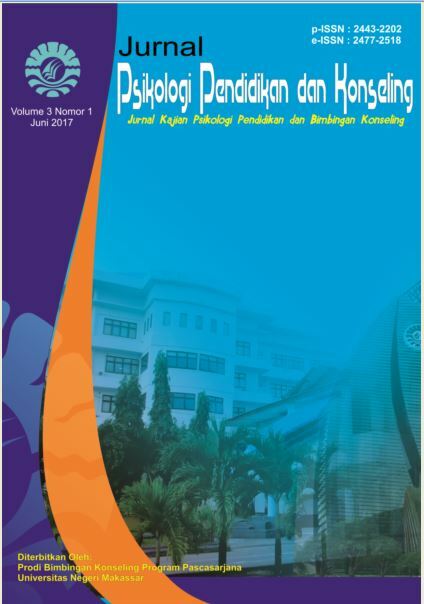 Jurnal Psikologi Pendidikan dan Konseling (Journal of Educational Psychology and Counseling) is a peer-reviewed scientific open access, with e-ISSN : 2477-2518 and p-ISSN 2443-2202 published by Counseling Guidance Study Program, Graduate Program of Universitas Negeri Makassar in collaboration with Asosiasi Bimbingan dan Konseling Indonesia (ABKIN) . Counseling and Educational Psychology Journal is an-Opened Access journal and published twice a year every June and December. It publishes the research (no longer than 5 years after the draft proposed) in term of Counseling guidance and Educational Psychology: career development, counseling techniques, media and technology counseling, career counseling, personal areas of social, behavioristic, cognitive, conceptual or empirical contributions on methodological issues in counseling psychology research. 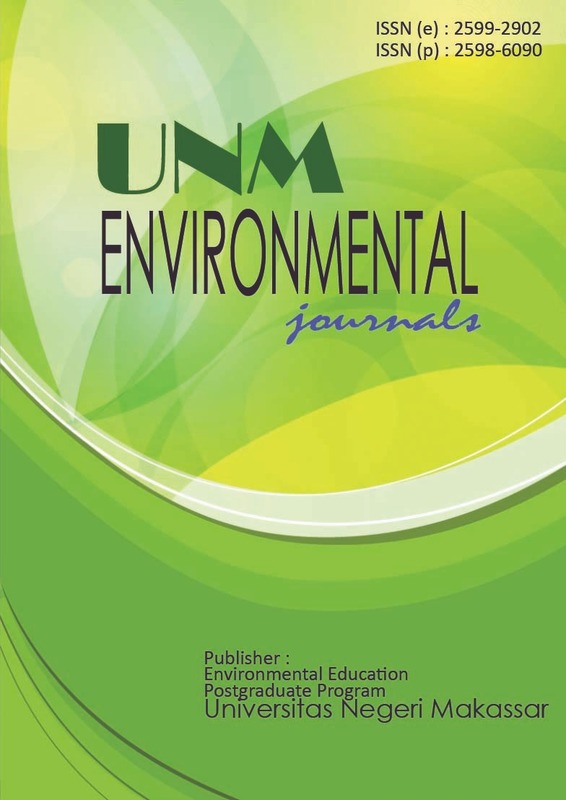 EST UNM published research articles on Education, mainly related to teaching, learning, theories and practices in education, Education Policy, Curriculum and Materials Development, Teacher Education, Technology and Media of Teaching, and other relevant activities. Before submission, please ensure the articles refer to the template and author guidelines. Any papers not fulfilling the requirements based on the guidelines to authors will not be processed. 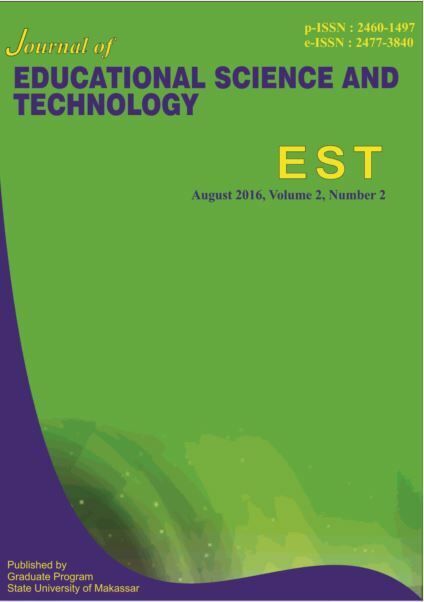 Journal of Educational Science and Technology (EST) has been indexed and abstracted and displayed in DOAJ, Science and Technology Index (SINTA) by Ristekdikti of The Republic of Indonesia, EBSCO, GARUDA. OAI address of Journal of Educational Science and Technology (EST): "http://ojs.unm.ac.id/JEST/oai"
Daya Matematis: Jurnal Inovasi Pendidikan Matematika is a journal that provides an authoritative source of scientific information for researchers and academics, research institutions, government agencies, and teacher education. We publish original research papers, review articles and case studies focused on mathematics education, mathematics and learning. All papers are peer-reviewed by at least two referees. Daya Matematis: Jurnal Inovasi Pendidikan Matematika published by the graduate education mathematics Makassar State University and successfully issued three times in each volume. Daya Matematis: Jurnal Inovasi Pendidikan Matematika has changed its name fromJurnal Daya matematis to Daya Matematis: Jurnal Inovasi Pendidikan Matematika since 2018. Google Schoolar, Sinta, BASE, IndonesianPublication Index (IPI), Road, ISJD, Crossref etc. Daya Matematis: Jurnal Inovasi Pendidikan Matematika has built cooperation with The Indonesian Mathematical Society Wilayah Sul Sel (IndoMS). 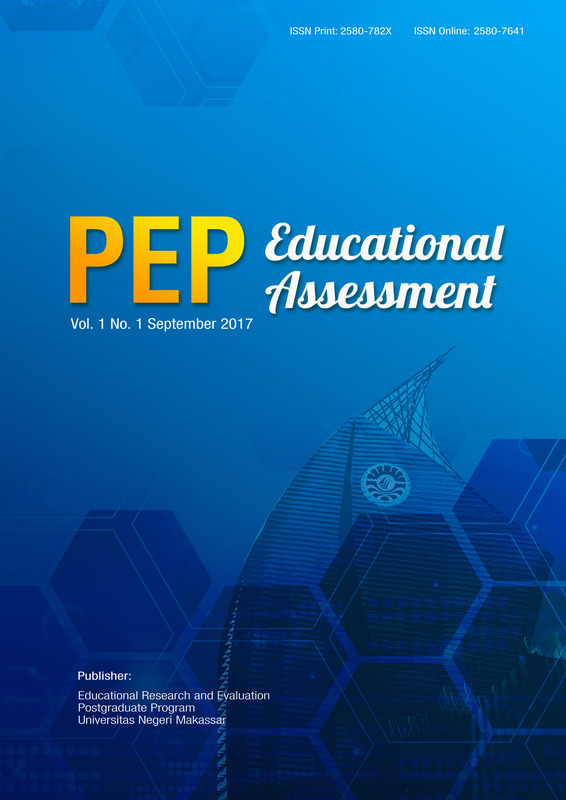 PEP Educational Assessment is a journal that publishes research articles in the areas of measurement, assessment, and evaluation of education, relating to learning, education programs, education supervision, and other relevant activities. And this journal is published 2 (two) times in September and March. 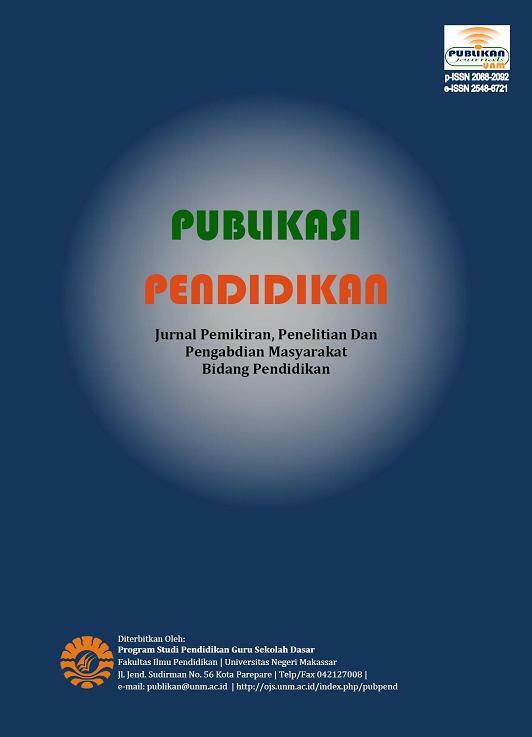 PEP Educational Assessment merupakan jurnal yang mempublikasikan artikel hasil penelitian bidang pengukuran, assessmen, dan evaluasi pendidikan, yang berhubungan dengan pembelajaran, program pendidikan, kepengawasan pendidikan, dan kegiatan lainnya yang relevan. Dan Jurnal ini terbit 2 (dua) kali setahun pada bulan September dan Maret. Program Studi Pendidikan Geografi Program Pascasarjana Universitas Negeri Makassar pada tahun 2017. UNM Geographic Journal adalah jurnal Open-Access dan diterbitkan dua kali setahun setiap bulan Maret dan September. 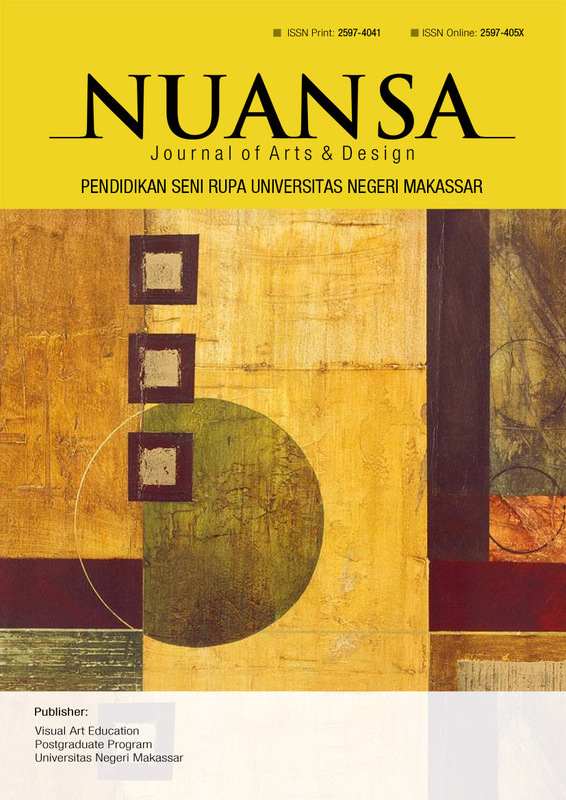 Nuansa Journal of Arts and Design diterbitkan oleh Program Studi Pendidikan Seni Rupa Program Pascasarjana Universitas Negeri Makassar dengan ISSN: 2597-4041 (print) dan ISSN: 2597-405X (Online). Artikel dikelola dengan proses Double Blind Peer Review dengan akses terbuka atau dapat didowload secara fullpaper. Nuansa Journal of Arts and Design menerbitkan artikel pada bidang Pendidikan Seni dan Desain. 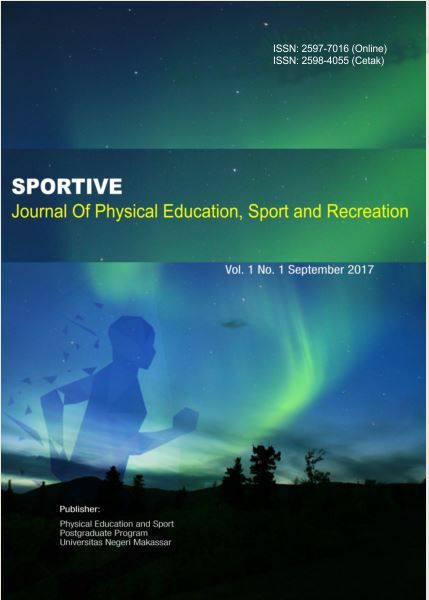 Nuansa Journal of Arts and Design terbit dua kali dalam setahun yaitu bulan September dan Maret..
SPORTIVE: Journal of Physical Education, Sport and Recreation secara rutin diterbitkan dua kali dalam setahun yaitu pada bulan Maret dan September. Adapun Artikel yang akan terbit, terlebih dahulu di proses melalui kegiatan peer review yakni penelaahan atau penilaian sejawat, yang selanjutnya terpublikasi secara open access yaitu dapat di akses secara gratis, disalin, diunduh, dibaca, serta disebarluaskan dengan terbuka. 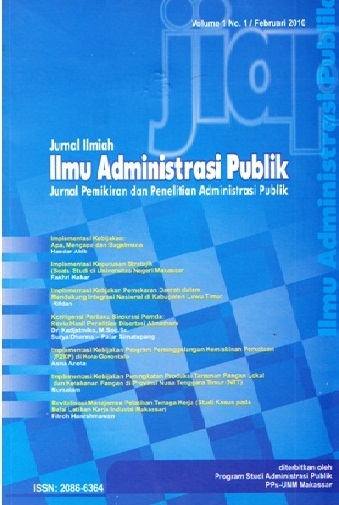 Jurnal Ilmiah Ilmu Administrasi Publik: Jurnal Pemikiran dan Penelitian Administrasi Publik terbit dengan proses peer review dan open acces dengan p-ISSN: 2086-6364 dan e-ISSN: 2549-7499. terbit dua kali dalam setahun pada bulan Juni dan Desember dalam bidang ilmu administrasi publik. Jurnal Ilmiah Ilmu Administrasi Publik: Jurnal Pemikiran dan Penelitian Administrasi Publik merupakan media publikasi untuk menyalurkan karya ilmiah para dosen, teoritis, dan praktisi dalam bidang administrasi publik, serta pemerhati administrasi publik. Jurnal ini diterbitkan oleh Program Doktor Ilmu Administrasi Publik Program Pascasarjana Universitas Negeri Makassar. Menerbitkan hasil penelitian, pemikiran original, pengembangan, pengajaran, tulisan populer, dan kajian buku dalam bidang ilmu administrasi publik. Publikasi Pendidikan (ISSN 2088-2092 Print, ISSN 2548-6721 Online) published an article in the form of the results of thought, research and community service education. 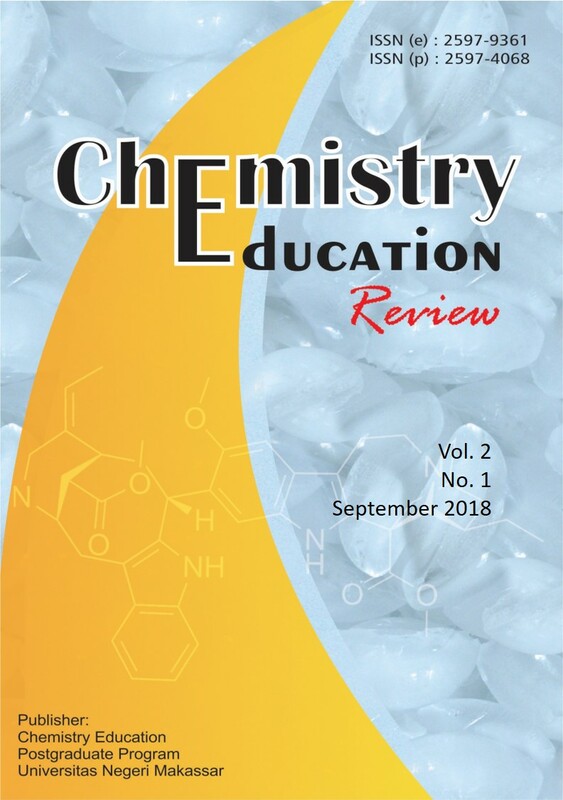 The focus and scope of the published article is about basic education or elementary school related to the theory and practice of teaching and learning, curriculum development, learning materials, learning model, learning methods and instructional media. Publish 3 times in one year, in the last week of February, June and October. Publikasi Pendidikan in collaboration with the Indonesian PGSD Lecturer Association (Himpunan Dosen PGSD Indonesia /HDPGSDI), currently in the SINTA 4 list. We are also indexed in Google Scholar, Crossref, OneSearch (Perpusnas), Garuda and others. 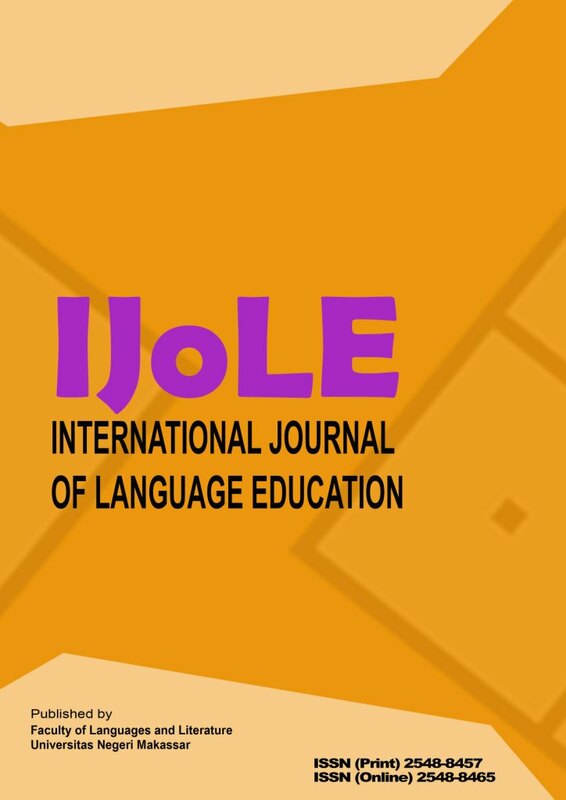 IJoLE: International Journal of Language Education is an international peer reviewed and open access journal in language education. The aim is to publish conceptual and research articles that explore the application of any language in teaching and the everyday experience of language in education. Its scope is international in that it welcomes articles from academics, researchers, graduate students and policy makers. All articles should be in English. and teacher training, gender and equality in language education. This journal is indexed internationally by DOAJ, Index Copernicus, EBSCO Open Access, Cross Reference, Google Scholar, Indonesia One Search, Bielefeld Academic Search Engine, and Garba Rujukan Digital. PEMBELAJAR terbit dengan open akses dimana Abstrak dan teks penuh yang telah dipublikasikan di website dapat dibaca dan di download secara gratis. PEMBELAJAR adalah Publikasi Ilmiah yang direview oleh pakar yang berpengalaman sesuai bidang keahlian dengan abstrak dalam bahasa inggris dan indonesia. ELT Worldwide is a Journal of English Language Teaching published by the English Language Education Graduate Program of the State University of Makassar, Indonesia. This journal publishes research articles of English Language Education practices around the world. The editors welcome experts and researchers of ELT from all over the world to share their inventions here for free. Jurnal Ad'ministrare adalah publikasi ilmiah yang memuat hasil penelitian dan kajian pemikiran bidang ilmu administrasi, ilmu manajemen, kebijakan publik, dan kegiatan lainnya yang relevan. Jurnal ini terbit dengan e-ISSN : 2541-1306 (2016) dan p-ISSN 2407-1765 (2014). 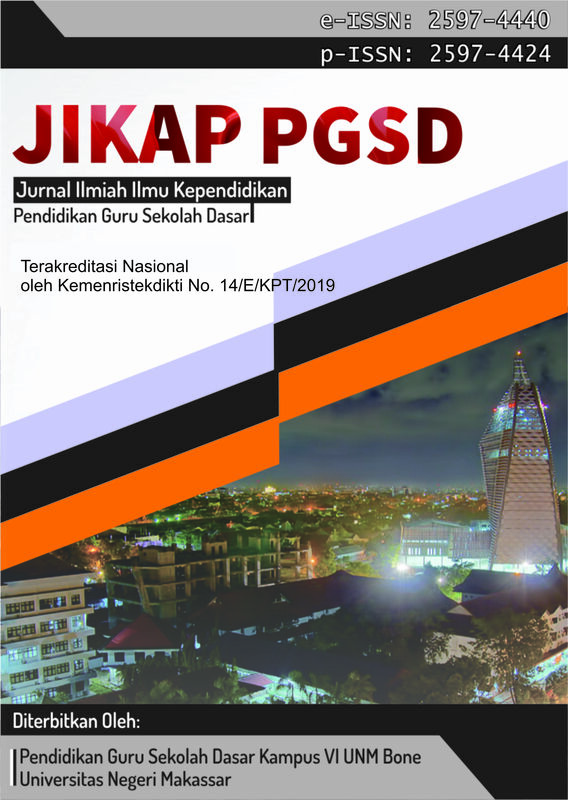 JIKAP PGSD: Jurnal Ilmiah Ilmu Kependidikan ber ISSN (cetak): 2597-4424 dan ISSN (online) : 2597-4440. Jurnal Office adalah publikasi ilmiah yang memuat hasil penelitian dan kajian pemikiran bidang ilmu administrasi, ilmu manajemen, kebijakan publik, dan kegiatan lainnya yang relevan. Jurnal Ekonomi Pembangunan dan Pertanian (JEPP) adalah media komunikasi ilmiah hasil-hasil penelitian ekonomi pembangunan yang dilaksanakan oleh Dosen FE UNM dan Peneliti dari Lembaga Riset terkait. 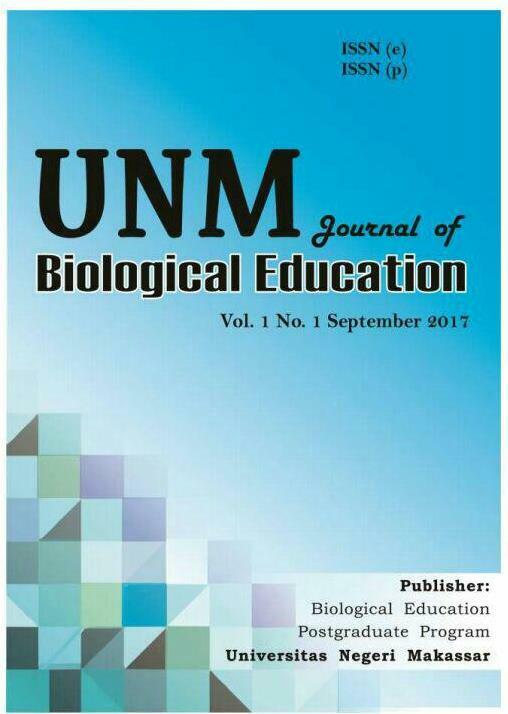 UNM Journal of Biological Education with p-ISSN 2581-1959 and e-ISSN 2581-1967 publishes the latest research into the biology teaching and learning, assessment of biology learning, development of biology teaching and learning strategy, development of biology teaching media. The journal aims to bridge the gap between research and practice, providing information, ideas and opinion, in addition to critical examinations of advances in biology teaching and learning research. Special emphasis is placed on research relevant to educational practices, guided by educational realities in systems, schools, colleges and universities. Articles that are theoretically informed and methodologically rigorous are welcomed. It is owned by The Graduate School of Universitas Negeri Makassar. It is published twice a year, March and September. 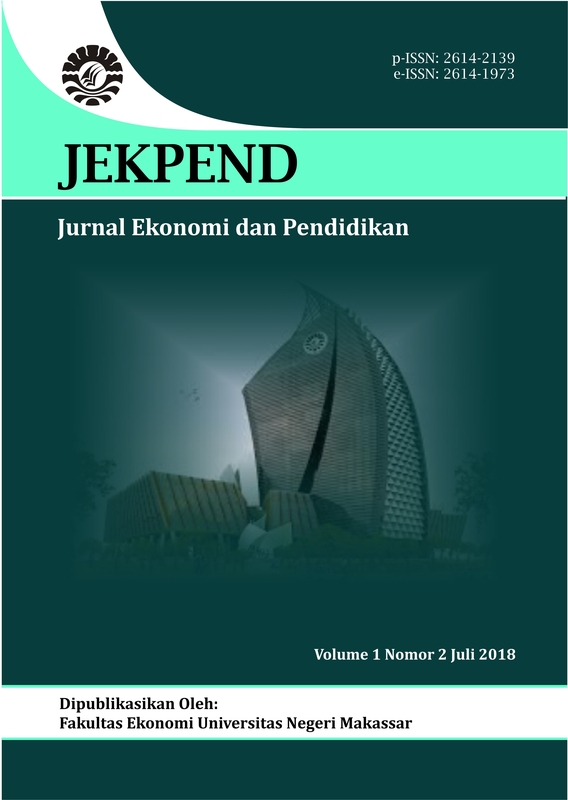 UNM Environmental Journals merupakan Jurnal Ilmiah Berkala yang diterbitkan oleh Jurusan Pendidikan Kependudukan dan Lingkungan Hidup (PKLH) Pascasarjana Universitas Negeri Makassar. 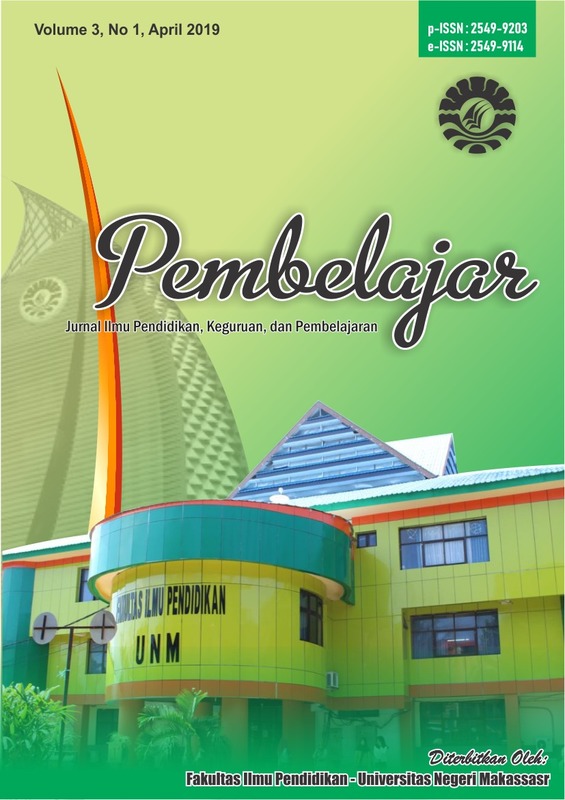 Jurnal ini mempublikasikan dan menyajikan artikel ilmiah, pemikiran konseptual, review, dan resensi buku pada bidang kependudukan, pengelolaan sumberdaya alam dan lingkungan. Jurnal ini akan terbit tiga kali setahun pada bulan April, Agustus dan Desember. Artikel yang diterima akan mengikuti proses peer review.